Microgreens are young plants that are harvested a few weeks after germination. We've all heard of the nutritional virtues of kale, for example, but did you know that the microgreen versions of many plants hold anywhere from 4 to 50 times the nutrients per volume as the same plants in mature form? Microgreens truly are the new superfood. Chefs and gardeners around the country are discovering that these easy-to-grow plants can be raised in the convenience of your own kitchen in a few weeks' time. And the range of flavor profiles is amazing—from spicy radishes or daikon to fresh-from-the-farm corn flavor in miniature corn microgreens. Sal Gilbertie gives you all you need to know to growithese delicious plants. He walks you through many of the most popular varieties, explaining growing specifics and flavor profiles. He then provides fabulous recipes for enjoying your harvest in salads, soups, main courses, and much more. 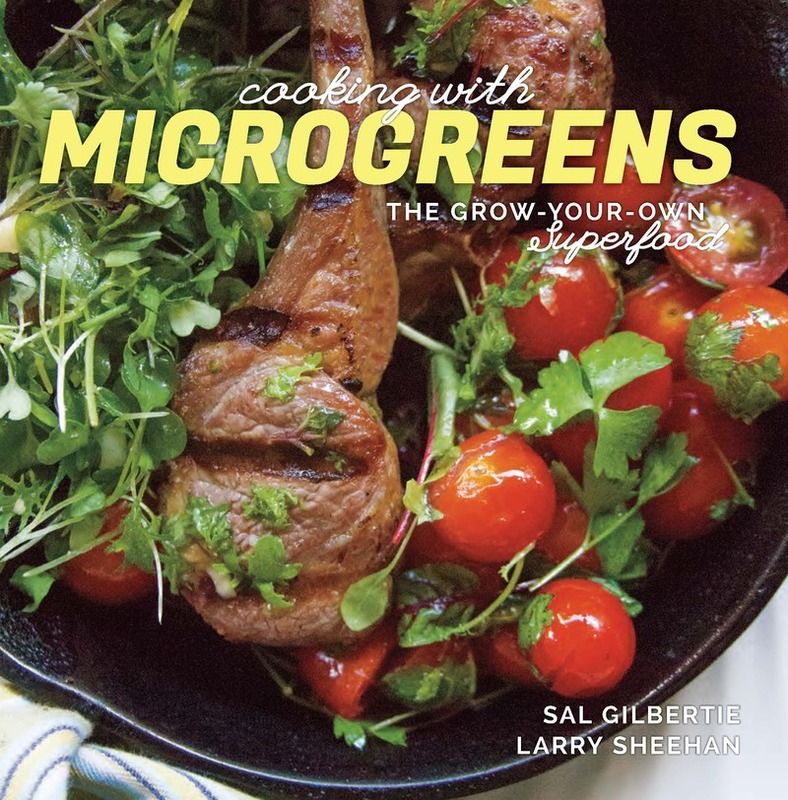 Sal Gilbertie is a third-generation proprietor of Gilbertie's Herb Gardens in Westport, CT. His greenhouses and gardens supply microgreens and herbs to many top chefs and restaurants in the greater New York City area. He is the author of several books. Larry Sheehan has a long list of writing credits that includes newspapers, magazines, television documentaries, and dozens of books,among them the best-selling Living with Dogs and The Sporting Life.